Quinns: Hello! Or as they say in Germany, das hallo! It’s a special Mostly-German edition of the games news today, because a lot of our news is from Germany and I am very creative. 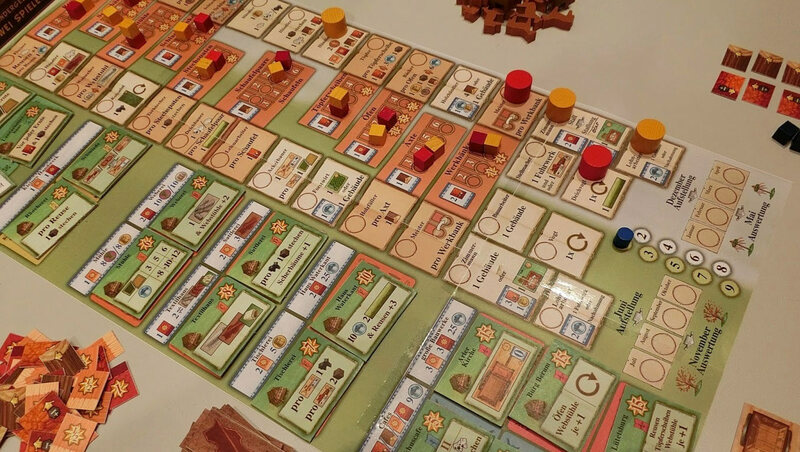 Uwe Rosenberg, designer behind such pastoral heavyweights as Agricola, Le Havre and Caverna has revealed his next project! What bold new setting are we getting this time, Uwe? What magical new mechanics have you birthed from the recesses of your labyrinthine mind? Ah. More of the same, then. That’s a shame! 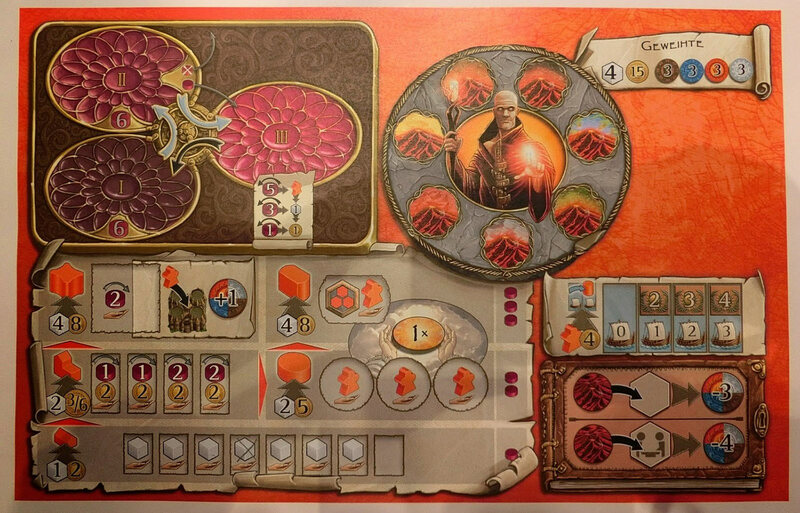 In the very same week, similarly prolific German mentat Stefan Feld has announced that his next game is about scientists that hang out with octopuses and crystals at the bottom of the ocean. Is “Team Feld” a thing? We should make it a thing. SU&SD hereby announces it is TEAM FELD! 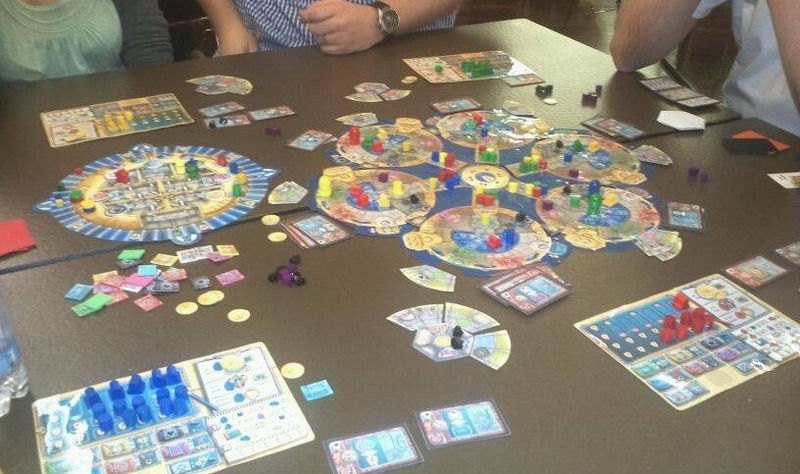 Anyway, it’s called Aquasphere, and here’s the prototype! I’ll admit to being a little disappointed when I saw it all laid out. Despite the madcap theme, it still looks quite like a traditional “number salad with wood dressing” Feldian monsterpiece, a la Castles of Burgundy, rather than anything wholly new. Still, this is the second undersea adventure we can look forward to this year, and I’m feeling very spoiled. Perhaps because moisture and boardgames is such a forbidden combination? Meanwhile, “filet of wood with a number glaze” Terra Mystica is getting an as-yet unnamed expansion! Which is good, because we were hugely impressed by it, though this expansion does sound a little dry. It’ll offer a new game board to play on, two new types of terrain (ice and volcanoes), some new scoring cards and six new suitably esoteric races, including “Frostfeen” to “Dragon riders”. Now, I love me some expansions. The feeling of opening up a loved possession and pouring in more components into it? It feels so decadent and clandestine, like hiding gold under your floorboards. But this news isn’t yet tickling my addict gland. This sort of very cautious lateral expansion makes sense for Terra Mystica, where the base game is so finely tuned and complex already. But no new mechanics to fiddle with makes Quinns a sad boy. But the biggest story of the week (perhaps even the year) is, of course, 2014’s Spiel des Jahres nominations. Jostling for board gaming’s biggest prize this year are Concept, Splendour and Camel Up, a camel racing / betting game we’ve yet to take a look at but that does sound pleasingly mad. You can find out more, plus see the “Critic’s Choice” and Kids’ game nominations right here. 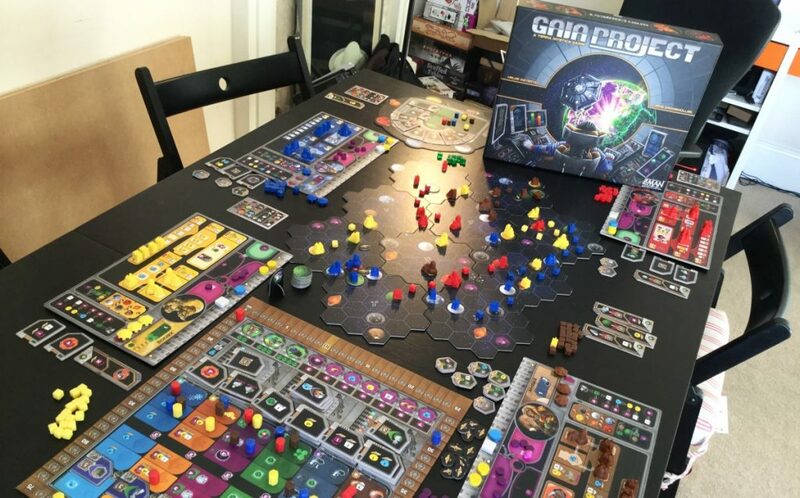 As I explained this time last year, Spiel is as gargantuan an accolade as it is because the winner can expect to sell an additional 300,000 to 500,000 copies in Germany. In an industry where a publisher selling out a print run of 10,000 is often considered a rousing success, Spiel des Jahres is the mother lode. In past years, the games nominated have also made about as much sense as a bag of birds. I’ve actually heard rumours that the jury’s decision-making process involves taking drugs for a week straight, until on the brink of death they form a powerful collective consciousness called INOFFENSIVOR with an insatiable hunger for mediocre designs that anyone can play, but nobody will really enjoy. Not this year, though! I’d happily play any of 2014’s nominations. Perhaps this press release from Spiel des Jahres chairman Tom Felber is true, and the jury are looking outside the German board game industry for inspiration. Or maybe they couldn’t get any drugs. Phew! That’s quite enough Germany for today, or as they say in Germany, “das ist enough Germany for todayzeit”. 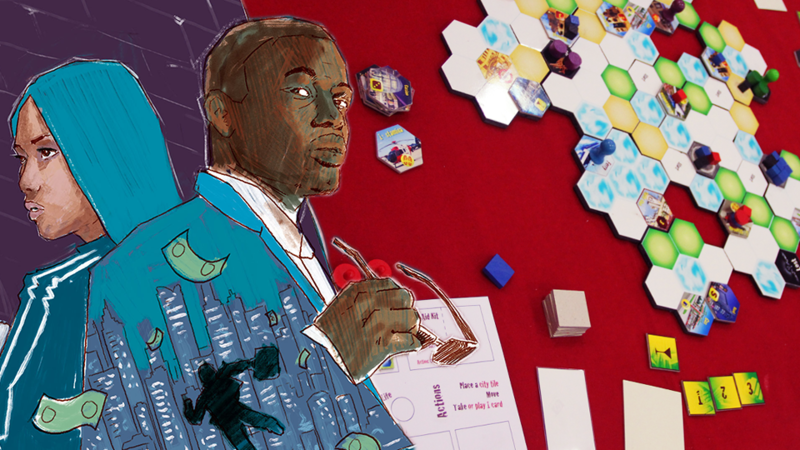 French party game Think Again has received a lovely preview on Board Game Geek News, and sounds excellently silly. Inside the box is a deck of very simple questions, but as a player asks them to the room they also reveal a new card back that tells the other players whether they have to answering rightly, or wrongly. For example, you might have to shout that milk is blue. Which sounds like it’d be funny in all kinds of ways. 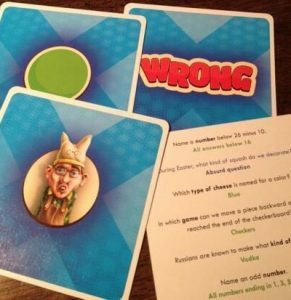 Simply having to give a wrong answer sounds weirdly taxing, accidentally answering questions correctly is inevitably going to happen, and I’d imagine your absurd answers can paint fun images. Imagine it. “In which game can players move backwards when they reach the end of the checkerboard?” asks your friend. “Football!” you yell, at the same time as your friend yells “Checkers. NO. DAMMIT” And everyone laughs! And then they actually process the cards in front of you and it turns out you really were meant to answer correctly. And that girl you like? She’s seeing how much fun you can be! And your eyes meet, and she looks away. Maybe you walk her home. A kiss on the front stoop! Wow. Thanks, Think Again. Oh wow, yeah, that sounds great, a– wait I beg your pardon? A game where you stockpile information with the end goal of heroically running into a man’s house to murder him? I’m literally laughing as I type this. The design of the game proper sounds fantastic, too. Similar to Hanabi, Say Bye to the Villains offers everyone a private hand of cards, together with very strict rules on what information they can share. Here at SU&SD we loved the idea of Hanabi, but never seemed to squeak as much pleasure from it as everybody else. If this can offer us a game that’s a little more thematic, and a little more structured, I’d be very excited indeed.